Manage your itinerary, book your hotel stay and use the Personal Travel Assistant to keep you up to date and on time with all your flights, meetings and travel bookings – right on your Android phone. 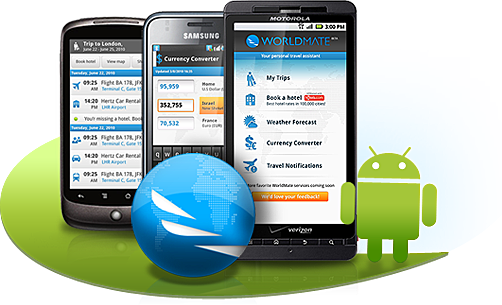 WorldMate have launched today their famous mobile travel application for Android. This entry was posted in Programming, Technology, Work and tagged Android, WorldMate by miron. Bookmark the permalink.